Ayogedde byonna byasobodde okwogera kunsonga eziriwo mu ggwanga lya Uganda? Abazzukulu babuganda, abakyala, basanyukira amattikira g'omulangira kubwakabaka bwa Buganda mumwaka 1993, July. Mr Mubiru omuwandiisi wa bazzukulubabuganda international, Buganda yebuuza oba ensi Buganda yeyagalira munsi Uganda. Omukulu wa Police, Inspector General of Police, Mr Martins Okoth-Ochola omupya owekiseera kino. 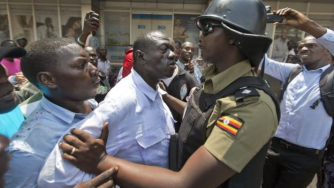 Police ya Uganda obumenyi bwamateeka bulabika bugiyitiriddeko--- Tekyasobola kubuziyiza okweyongera. Sabawandiisi ono ye Mr Mubiru Njuki atudde wano e Buganda. Modern autocracies – which organize elections, have a semi-independent judiciary, and relatively free press – are never defeated via the ballot box. They are knocked out way before an election. In fact, the election is simply icing on the cake. Now, since violent rebellion and coups (through which traditional autocrats were kicked out of office) ceased being acceptable means of protest after the Cold War, streets of capital cities became the new battlegrounds: Hosni Mubarak, Robert Mugabe, Ben Ali, Omar Al-Bashir, Abdelaziz Bouteflika know this so well. The Arab uprisings confirmed to us that major towns were not only business and administrative centers, but also legitimate battlegrounds for regime change. Interestingly, although the fighters here need no guns – but determination and tact – they can be killed. Perhaps the biggest victory that opposition forces managed to pull off in Congo was stampeding Joseph Kabila from standing in the 2019 election cycle. So was Zimbabwe recently, and now Omar Al Bashir. In Congo, victory came way before the election – and remains the biggest achievement of that political cycle. Most importantly, it was not the mainstream opposition politicians that brought about this victory, but ordinary folks (and the Catholic church). There are lessons to learn for ordinary folks in Uganda expecting speedier change of leadership from Mr Museveni to someone else. [Of course, Museveni will leave office, but if one wants to contribute to Museveni’s exit, and not leave matters to God, there are lessons from elsewhere on the continent]. Across sub-Saharan Africa, opposition politicians tend to suffer three main afflictions – especially since most of them join politics as an escape from poverty: (a) After a period, they become comfortable in their settled careers as opposition politicians. 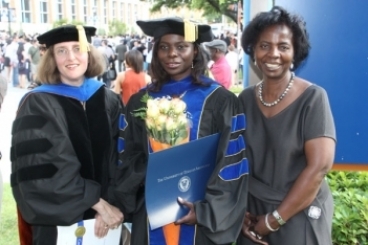 These careers grant them fame and plenty of material benefits for a happy life. They are the celebrities of town. They are our new role models. They get invited to prime-time TV and radio shows, and are guests of honor at both public and private functions. (b) They become compromisable, or are easily compromised by offers of material and spiritual benefits from the state. (c) because of a predictable ‘opposition routine,’ the state often develops a fine (both violent or legal) methodology of dealing with the opposition. Over a period, the state crafts laws that are dangerous for opposition activities, and through tax authorities and banks, they could be bankrupted if need be. To this end, opposition politicians are mere artistes, and terrible cowards. While they perform and appear to be angry against the state, they are cautious enough not to lose their comfort. This is the state of affairs in Kampala, and instead of having an opposition, Ugandans have happy people on either side. Thus, for Ugandans interested in being a part of the transition from Museveni to someone else (the easiest is sitting back and wait for President Museveni to suffer a heart attack, God forbid), do not bank on established opposition groups for leadership and guidance. Ordinary folks have to drive the movement. 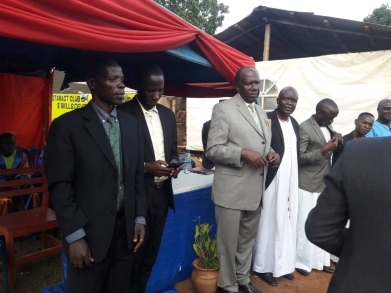 Political celebrities in the FDC, DP, UPC are heavily constrained but also happy to continue their lives – and careers as opposition politicians. There is an example of a Congolese small grassroots movement called La- Lucha, which should give Ugandans some learning. Formed in 2012, La-Lucha, which translates as struggle for change, started organizing small inside homes of activists. Most of them were everyday people, teachers, laborers and university students. 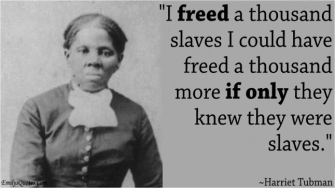 Some would even miss school for the struggle. Focused on bringing change to DRC’s political fortunes under Kabila, these met and meticulously planned their next steps. Among other things, they cleaned market squares, opened clogged drainage channels and sketchily fixed potholes in roads. 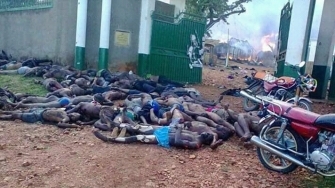 At the end of every communal activity, they sensitized communities about their movements and about how the regime of Joseph Kabila had handed them unmeasurable suffering. They often protested and were often arrested. However, from detention, they would be received in churches and allowed to speak to congregants. The state came down harder on them and in mid 2018, one of its most vocal founders, Luc Nkulula was burned in his house. But steadily, the movement grew bigger and powerful, inspiring several others. An accumulation of these movements reset the political agenda for the country and that is how the world changed in DRC. My point is this: ordinary folks need to start organizing – meticulously and methodically. Listen to Olde cultural music 24 hours for 7 days a week. Kirungi nyo ddala okukubaganya kubirowoozo naddala kunsonga za Tonda. Kubanga Katonda kwagala. 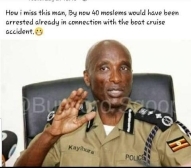 Abeera mukwagala abeera alabye Katonda. Ate yagala ne Katondawo kubanga yeyakutonda era yagala nebano nga bweweyagala wekka. Kitalo nyo ddala. Amawulire amalala gajja kufunika. Kyoka yo ensi Buganda yefuga dda nga 8 October, 1962. Uganda’s Foreign Minister, Sam Kutesa has been named in Paradise Papers- a global investigation that reveals the offshore activities of some of the world’s most powerful people, Multinational companies, wealthy individuals, heads of state, politicians and sports stars from around the world. 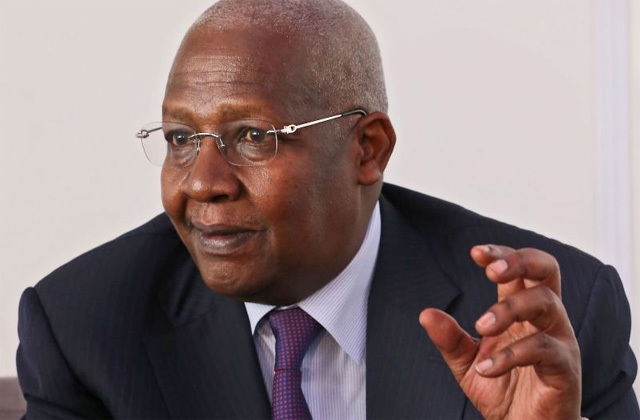 Kutesa is listed with some of the biggest names to emerge so far include the Queen, Facebook and Donald Trump’s cabinet members and advisers. 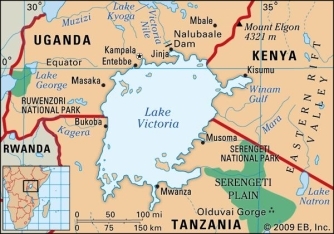 The report says, Sam Kahamba Kutesa Uganda’s foreign minister and former president of the United Nations General Assembly during its 2014-2015 session, created the Obuyonza Discretionary Trust in the Seychelles in 2012. The trust held shares in the Seychelles Company Katonga Investments Ltd.
Hon. Kuteesa created the trust, watched over its administration and was one of its beneficiaries. The money for Katonga was to come from Enhas Uganda Ltd., another Kutesa entity, Appleby’s notes state. 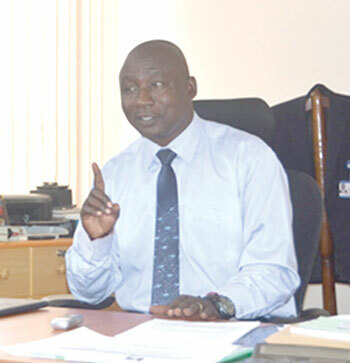 Kutesa has owned Enhas, a ground-handling service at Uganda’s Entebbe Airport, since the 1990s. That money would potentially otherwise be taxed in the owner’s home country, meaning governments are potentially missing out on billions in revenue. READ: Where do they get money?- I have worked for 50years, I don’t own Kampala-Wavamunno. In a video that has since gone viral, Col Kizza Besigye brought a new meaning to the popular People Power slogan Twebereremu, which loosely translates in English as get involved. 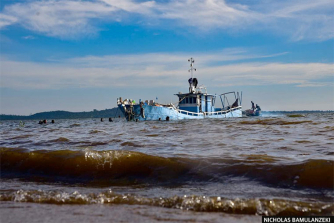 The retired colonel suggested the word is a coded catch phrase that carries tribal undertones that could stoke tribal conflicts in the country. 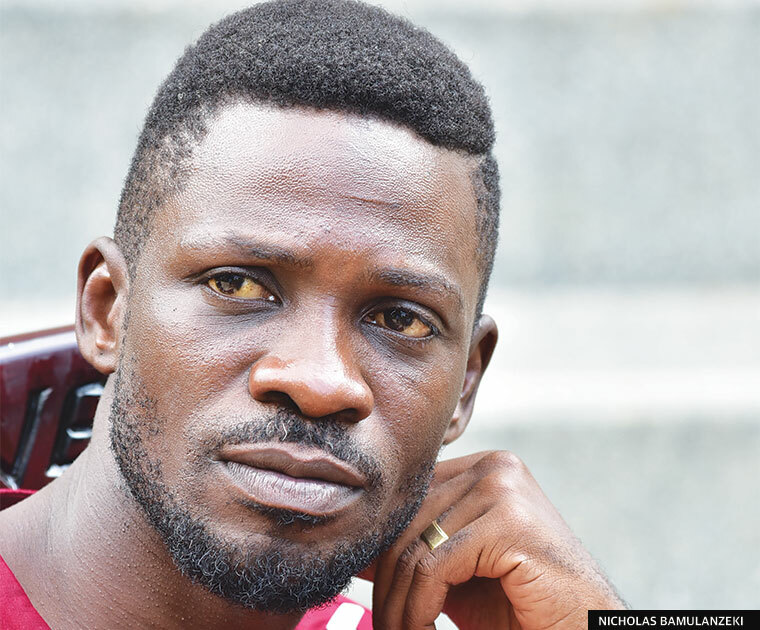 Speaking in an interview, Robert Kyagulanyi Ssentamu aka Bobi Wine, the Kyadondo East MP and leader of the People Power Movement, said he is not a tribalist, he has never been and will never be. He said much as Besigye has since offered clarity to his earlier statements and apologised, he felt offended that he can be portrayed however, subtly, as a tribalist by the four time presidential candidate. “I’m not a tribalist and I don’t believe in tribalism whatsoever. I despise people who have tribalistic thoughts. Just like slangs that have been brought like Tubalemese [let’s sabotage them], Twebereremu means; let everybody get involved [in the struggle]. When you look at me and the people close to me, they come from all over the country. When you look at the person I’m married to [Barbara Itungo, who comes from western Uganda] and listen to my message; you will not classify me as a tribalist,” he said, adding, “I’m actually very glad that Dr KB came out and apologised for that misquotation. I hope that helps people understand that I Bobi Wine and People Power are not tribalists. I pray that the constant engagement as leaders will help brothers from FDC and People Power understand that we are not fighting against each other but we are fighting for each other,” Bobi Wine said. 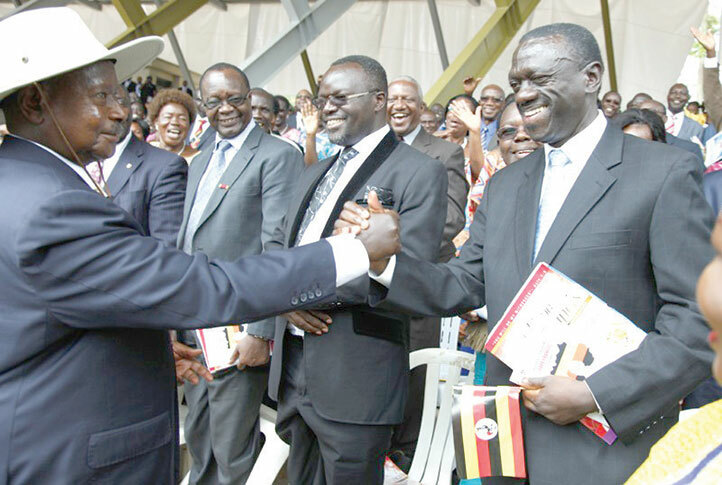 He dismissed as false speculation that there is bad blood between him and Besigye. 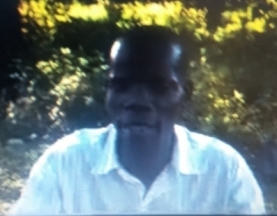 He said he visits the retired colonel at his home in Kasangati and calls him often. He said however, that young people too have qualities and abilities Besigye can tap into. “My desire is to be the link between various mind sets, various tribes, various groupings and various generations,” Bobi Wine said. He however, added that people who have been in politics for some time have a challenge in understanding the emerging leaders and their way of doing things. Bobi Wine also vowed to use all the legal means available to fight the police ban on his music shows. Police recently issued a statement banning Bobi Wine’s music shows. 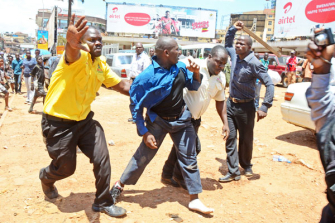 His show in Jinja was blocked by police at the weekend and he escaped arrest. Similarly his Boxing Day concert at his One Love beach in Busabala was also blocked. He said police has not given him any reason whatsoever for stopping his shows. “It should be known to everybody that police is operating in an illegal manner and the number one perpetrator of impunity. They are charged with keeping law and order but now they are the custodian of unlawfulness and disorder. It should be remembered that last year when police first blocked my concerts, I went to court but that case is yet to be heard up to now. I have written protest letters to the Inspector General of Police but he has not yet responded. I have walked to his office and I was made to wait for four hours without seeing him,” he said, adding that, “…Even when the director of operations [Asuman Mugyenyi] came to see me, all he said was he cannot give us answers to all the questions we were raising and that the orders they were effecting were orders from above,” Bobi Wine said. He said he will petition all human rights platforms and parliament among others, to see that his right to a earn a living is protected. “There are two things; we are either going to get justice or we are going to expose injustice wherever it is. Order from above in Uganda means an order from President Museveni and indeed he told Hon Asuman Basalirwa during the Ipod meeting [last week] that he will not allow me to freely exercise and practice my profession. I don’t know where he gets that power from. One thing I know is that our institutions have crumbled and can no longer act independently but we are not giving up because we believe in right over wrong, in good over evil and we believe justice will prevail no matter how long it takes.” He said what is happening to him is not surprising at all since he has seen injustices unleashed on many other leaders who have come before him. One reckon this Young man Bob Wine is in his thirties or forties like the current President of Uganda in 1986. President M7 came to power preaching the same message to Africans to hate their tribal tendency. That we all Africans in Uganda should embrace the Republic of Uganda with his new NRM constitution. God knows now which sort of people are entitled to people power. The Jaluwos, or Ankole, or Ssese Island people? One thinks that the People Power are well written in the current NRM constitution as about 15 African Tribes. These tribes sat together and formulated by an international agreement to make a country known very well as Uganda. KATIKKIRO wa Buganda, Charles Peter Mayiga agambye nti ssi waakutiisibwatiisibwa okwegazaanyiza mu Buganda yonna nga Kamalabyonna n’ategeeza nti kikafuuwe essaza ly’e Kooki oba ekitundu ekirala ekya Buganda okwekutulako. Kamuswaga w’e Kooki. Ku ddyo nga awubira abantu be, ate era ne Katikkiro (owookubiri ku kkono) n’abakungu b’e Mmengo nga batuuka e Kooki. ‘‘Nze Katikkiro wa Buganda, ate ndi looya, mmanyi kye njogerako. Sizannya mizannyo gya kyana kito ate simala gazannyirwako ntyo. E Kooki eyo eriyo abantu abatayagala butebenkevu era mmanyi n’abantu b’e Kampala bwe beerimbalimba”, Katikkiro Mayiga bwe yategeezezza. Okutuuka okuva mu mbeera yabadde ayogerera mu Lukiiko lwa Buganda ku Bulange e Mmengo ku Mmande. Kyaddiridde olugendo lwe yabaddeko mu ssaza lya Buganda ery’e Kooki olwabuzeeko akatono okugwa obutaka olw’emisanvu abeebyokwerinda gye baamusuulidde mu kkubo. Yattottodde ebyamutuuseeko ku lugendo lw’e Kooki nga November 27, 2018, abeebyokwerinda bwe baasoose okumugaanira e Masaka okweyongerayo nga kigambibwa nti Kamuswaga yabadde yeemulugunya nti teyategeezeddwaako mu kukyala kwa Katikkiro. Mu lukiiko lwa Buganda, Mayiga yakangudde ku ddoboozi n’ategeeza nti eriyo abaagala okwawulayawula mu Buganda kyokka n’abakontola nti beerimba kubanga endagaano Mmengo gye yakola ne gavumenti eya wakati, erambika bulungi nti Kooki, n’ebitundu nga Bugerere ne Buluuli bya Buganda. Kabaka Ronald Mutebi II ne Pulezidenti Museveni bassa emikono ku ndagaano nga August 1, 2013 mwe bakkaanyizza ku nsonga ezaali zirudde nga zigulumbya Buganda ne gavumenti eya wakati era mu nnyingo ebintu omukaaga gavumenti bye yeeyama mwalimu n’okussa ekitiibwa ku buwaayiro bwa Konsitityusoni okuwa Kabaka eddembe okutambula wonna w’ayagala mu Uganda awatali amukuba ku mukono. 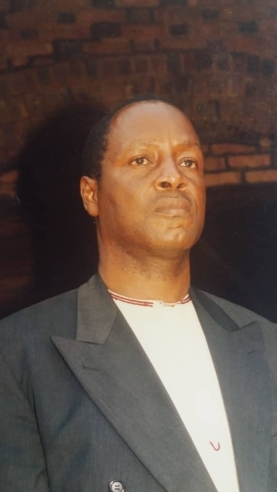 Gavumenti bwe yamala okuzzaawo Obwakabaka nga July 31, 1993, Kabaka Mutebi II lwe yatikkirwa, Pulezidenti yayogerera mu lukiiko lwa Buganda olwatuula nga August 2, 1993 mu Bulange e Mmengo n’awabula gavumenti ya NRM ezzizzaawo Obwakabaka okugatta so ssi kutemaatema mu bantu. Mayiga yasula Masaka mu Brovad Hotel ku Mmande nga November 26, nga yeetegekera olugendo lw’e Kooki mu disitulikiti y’e Rakai enkeera ku Lwokubiri nga November 27, 2018 okukyalira abalimi ab’enjawulo mu nteekateeka eya “Emmwaanyi Terimba”. 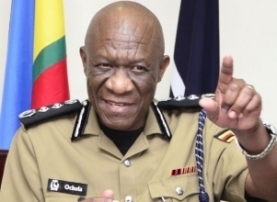 Nga tannasimbula yafuna obubaka okuva ew’omuduumizi wa poliisi mu ttunduttundu ly’e Masaka, Latif Zaake nga bwe waliwo obutali butebenkevu gy’alaga nti obugenyi bwe e Kooki bwali bwolekedde okusajjula embeera n’asaba basooke boogeremu ku nsonga zino. 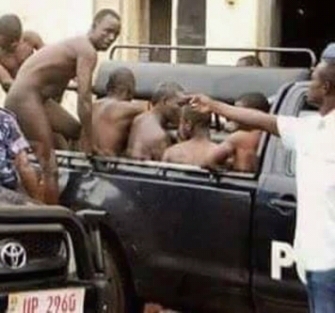 Olwo Poliisi yali eyiye basajja baayo abawanvu n’abampi mu Masaka n’e Kooki ng’abalala bali ku wooteeri Brovad. Ebimotoka bya Poliisi ebigumbulula okwekalakaasa n’ebifuuwa ttiyaggaasi nga biri bulindaala. Zaake, n’ab’ebyokwerinda abalala nga Dan Atwine, Maj. Livingstone Luttamaguzi akola nga RISO w’ekitundu kino n’abalala baagenda ku wooteeri eno okusisinkana Katikkiro n’ekibinja kya baminisita kye baali nakyo. 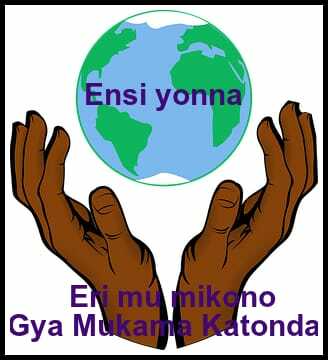 Minisita w’Ebyobulimi, Vincent Ssempijja n’omuduumizi w’enkambi y’amagye ey’e Kasajjagirwa nabo oluvannyuma beegatta mu kafubo akaamala essaawa ssatu ng’enjuyi zonna zigulumba n’ensonga. Mu kusalira ensonga eno amagezi, Katikkiro wa Uganda, Dr. Ruhakana Rugunda yakubirwa essimu bwatyo n’alagira abeebyokwerinda okuleka Mayiga agende e Kooki. Ensonda zaategeezezza nti Katikkiro Rugunda yasooka kwebuuza ku Pulezidenti Museveni eyasalawo nti Mayiga agende mu maaso n’olugendo lwe kasita abeebyokwerinda bakakasa nti tewaliiwo mbeera eyinza kuvaamu kuyiwa musaayi n’okutabangula emirembe. Kigambibwa nti kino kyakkaanyizibwako ku ssaawa nga 5:00 ez’oku makya kyokka poliisi teyasooka kussa kiragiro kino mu nkola nga bagamba nti balinda kufuna kiragiro kya Minisita w’ensonga z’omunda, Gen. Jeje Odongo. Ekibinja kya Katikkiro kyayongera okubalemerako nga bwe waliwo ekiragiro kya Dr. Rugunda. Ku ssaawa nga 7:00 ez’emisana, Mayiga yasimbula okuva e Masaka okwolekera Kooki. Mu kitoogo e Namujjuzi ng’ofuluma Masaka, poliisi yali esuddewo emisanvu kyokka obudde gye bwali bugenda ng’abantu batandise okwekuhhaanyizaawo. E Kawenda ku nsalo ya Kooki ne Buddu ku kkubo erifubutaka e Sanje okutuuka e Mannya waali wateereddwaawo emisanvu egyalemesa abaserikale ba Kabaka abasooka okwetegereza embeera mu bitundu Katikkiro gyabeera agenda okukyala. Bano nabo baawalirizibwa okuddayo e Masaka ku wooteeri. Ku lidda e Kiganda wakati wa Mityebiri ne Kasasa, ate emirala gyateekebwa e Lwanda awali ensalo ya Buddu ne Kooki byonna nga bigendereddwaamu okulemesa Katikkiro okutuuka e Kooki. Bino bye bigambibwa okuba ebigambo Katikkiro Mayiga bye yayayogeredde mu lukiiko lwa Buganda ku Mmande ng’attottola ebyamutuukako mu lugendo lw’e Kooki. “Mwenna mumanyi enteekateeka eyo ey’Emmwaanyi Terimba. 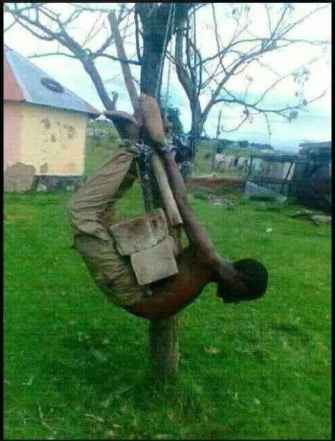 Tulwanyisa bwavu nga tukubiriza abantu okutandikira kwebyo bye basobola. Mu Buganda omuntu wa bulijjo asobola kulima na kulunda. Waliyo abasobola okusuubula n’abakola mu ofiisi. Naye okutwaliza awamu mu Buganda omulimu ogusookerwako gwa kulima n’okulunda. Tutuuse mu masaza mangi nga Kabaka agaba endokwa. Tukola ne Coffee Development Authority era Minisita avunaanyizibwa ku by’obulimi, Hajji Amisi Kakomo ne Ssenkulu wa BUCADEF, Hajji Badru Sserwadda be tutambula nabo mu nteekateeka y’Emmwaanyi Terimba. Tugenda tuzzaamu abantu naddala abavubuka amaanyi baleme kuggwaamu ssuubi bakole beeyimirizeewo. Enteekateeka eno emanyiddwa bulungi. Wabula weewuunya omuntu ava ku biyamba abantu nadda mu buzannyo obwekyana ekito. Nze sizannya mizannyo gya kyana kito ate simala gazannyirwako ntyo. E Kooki eriyo abantu abatayagala butebenkevu n’enkulaakulana. ‘‘Nze Katikkiro wa Buganda, Munnamateeka omutendeke ne nva mu ofiisi Kabaka gye yampa eva eno okutuuka eri ne hhenda okulya enfuufu. Nandibadde nkima ki mu nfuufu? Nze saagalira ddala bintu bya nfuufu mu bulamu bwange, abammanyi bakimanyi naye hhenda ntya mu nfuufu nga nvudde mu ntebe eriko obwebonga n’empewo ensengejje ezinnyogoga hhende mu nsozi z’e Kooki nga njagala kukola mirimu Kabaka gye yampa oli n’agamba nti tojja kujja wano. Taba mu mizannyo gya kito. Oyo abantu abaagala? Nze ndowooza bw’olaba akukaabirako nga naawe okaaba. 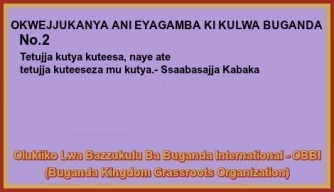 Ebyembi abantu bano abatayagala butebenkevu n’enkulaakulana era abatalina bwagazi eri abantu baabulijjo, balina banywanyi baabwe e Kampala ababadde bagezaako okubawagira mu nteekateeka zino ez’okututawaanya. Munno bw’akugamba ekintu ekitayamba omugamba nti naye gundi kino. Ndowooza engeri gye sitera kuyombayomba balowooza nti ndi awo waakutiisibwatiisibwa. Bwe tunnamugamba nti togenda nga naye abivaako ng’adduka. Nze Charles Peter Mayiga (eeeh..eeehh)-(Katikkiro naasekawo). 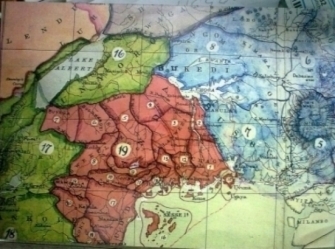 Nneebaza abaamagye, abapoliisi ne ISO abaluhhamizibwa abakulembeze abakitegeera nti ffe okugenda e Kooki kigasa Kooki, Buganda ne Uganda. 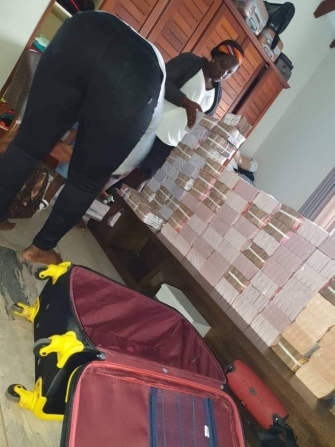 Yategeezezza nti, ‘‘e Kooki twayaniriziddwa mu ssanyu lingi ddala era n’emmwaanyi bangi bazirimye. Njagala okwebaza Oweekitiibwa Gertrude Nakalanzi Ssebuggwawo omukwanaganya w’emirimu gya Kabaka e Kooki, olw’okumalirira okukola emirimu gya Kabaka era tujja kwongera tugikole. Abamu bwe bawulira endagaano zino ze twakola ne gavumenti, balina okukimanya nti tekutulanga Kooki ku Buganda oba Buluuli oba Bugerere. Buganda ekyali wamu ne mu Ssemateeka mweri. 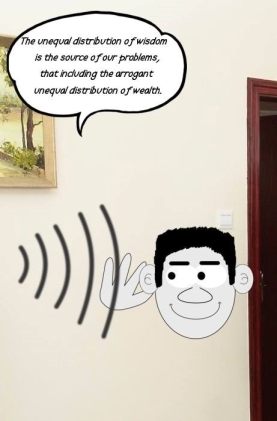 Ayagala okukutula mu Buganda yeesibe enkoba ssatu si lumu, si lumu si bbiri wabula ssatu. Sikukuuma bulamu bwoka naye nokukuuma ebintu byabwe ebyobugagga, embeera zobudde, obujjanjabi bwokulwala nokuzaalibwa, okukuuma ettaka lya batuuze era nebirala bingi nyo ddala ebiwa bananyini nsi okwenyumiririza mu nsi yabwe nokujagala era nokujagaliza abaana nabazzukulu! 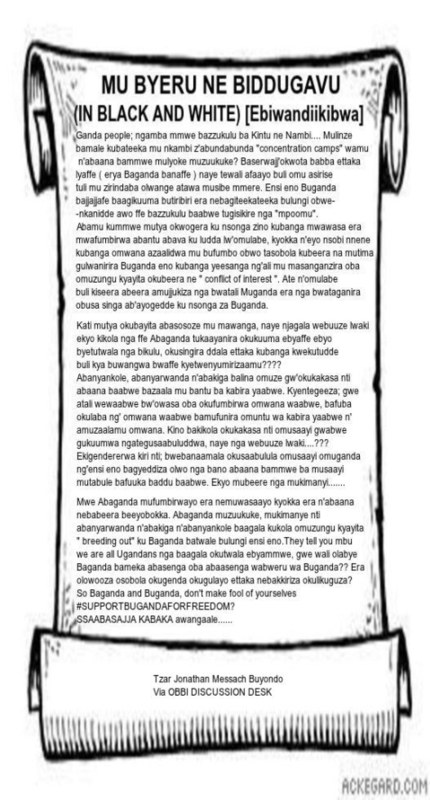 Wano ensonga za Buganda banamatteeka webazifulidde ezokusajiramu nga ebya baana abato so si ebyabantu abakulu abalina obuvunanyizibwa eri okukuuma obulamu bwa bantu ba Tonda. Kibi nti buli ensi Buganda bwekola endagaano nabantu abagala ensi ya Buganda, bigenda okuggwa nga Ssabasajja mukwate, Katikkiro adduse nga nendagano ziyuziddwa nezitekebwa mu kasero akasulibwamu ebisasiro. Mpozzi Ssekabaka Mwanga yali afuga okutuuka e Tanganyika 1890 Jjajjawe Suuna jeyali akomeza Obuganda? Awo e Bukoba mu Kagera region Mwanga weyekweka nga Abazunga bamuli bubi okumutwalako ensi ya Bajajja be! Wano Mulongo Mwagale ayogera ku Rediyo ya Baganda kumpewo ababaka radio. 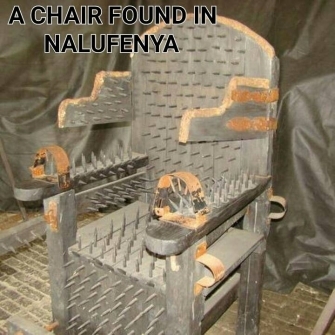 Mulongo Mwagale omuzana wa Kabaka wa Buganda ayogera. 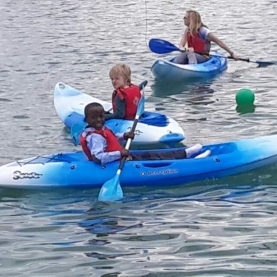 We regularly post about upcoming events on our Academy Facebook and Twitter page. We will send out texts or letters for any urgent or important event updates. 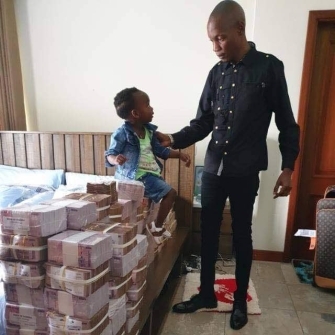 Omuwandiisi wa bazzukulubabuganda International Mr Mubiru ayogera kukabenje kano. Elyato nga lisikibwa okuva mumazzi awabade akabenje litwalibwe kuttale. Bano abakungu balabika basalidde wo abantu bonna aba Uganda okwegatta kunsi emu bweti mu Africa eyitibwe East Africa. Rhomusana naye nga Omunyankore ayomba nga ate bwanyonyola kubye ttaka. Osobola okumufuna ne ku You-Tube ku radio terefaina. Abaana wano e Buganda bagala nyo okuzanyira kumuganda gwa sente oguterekebwa awaka buli kiseera ate nga kyebuzibwa oba bananyini sente zino basasula omusolo gwe ggwanga obutereevu. Omulimi nowekiduka nga batawana okutwala ebibala mukatale e Kampala olwamakubo agononeka olutatadde olwokutonya kwenkuba namuntika.